Elvira is a fantastic medical professional and I am glad I happened upon her in my search of primary care practitionersin my area. Elvira is a fantastic medical professional and I am glad I happened upon her in my search of primary care practitioners in my area. She took so much time and care and answered any and every question I had. She made sure I was comfortableand fully understood everything that was going on, great doctor! She took so much time and care and answered any and every question I had. She made sure I was comfortable and fully understood everything that was going on, great doctor! Elvira Dzubur brings extensive work experience to her current role as a nurse practitioner at Integrative Wellness Group. 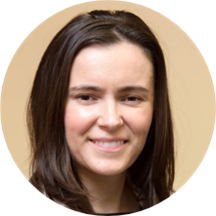 She is a dedicated provider who strives to deliver quality care to the community in Oak park, River Forest , Elmwood park and surrounding neiboorhoods. Ms. Dzubur completed her master's degree in nursing at Loyola University Chicago and is uncompromising in her dedication to the well-being of her patients. A multi-linguist, she is fluent in English, Bosnian, Croatian, and Serbian. Her ability to converse fluently in these languages allows her to cater to people from diverse cultural backgrounds. Ms. Dzubur is hard-working, passionate, loving, and caters to her patients with utmost care and concern. She takes time to listen to their problems and gently guides them through the diverse options and treatment plans they can consider. Patients of all gender and ages visit her for several chronic and acute issues. Exelente she is very professional and I can see her interest to help others. She was great! She has a wonderful bedside manner and she made my husband feel at ease. She was great! Explained everything in detail and how to treat the issue.